Located in the first level of the building D parking garage. 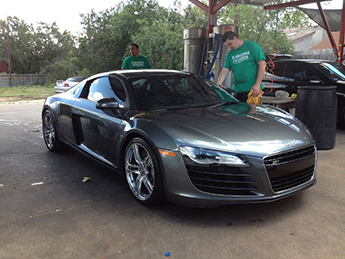 The Hand Car Wash Mobile Detailing in San Antonio, Texas uses the highest quality of car detailing products including carnauba waxes, specialty glazes, detailing clay bars, tire and wheel cleaners, and leather clean and conditioning. 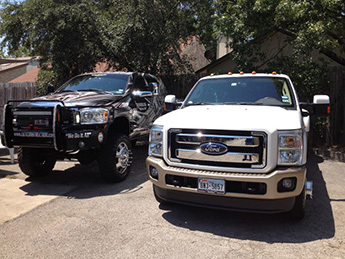 EMPLOYEES MUST DROP OFF THEIR VEHICLES IN THE LOWER LEVEL OF BUILDING D PARKING GARAGE BEFORE THEIR APPOINTMENT. Employees can securely drop their car keys in the key drop box located in the parking garage. 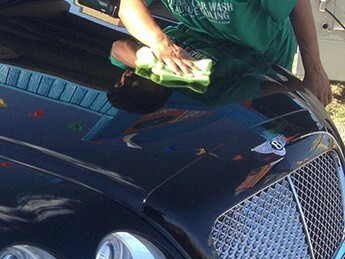 We wash your car by hand, dry the exterior, clean door jambs, vacuum carpets, dust off the dashboard, Clean windows inside and out, apply dressing to tires and exterior moldings and clean wheels and rims. 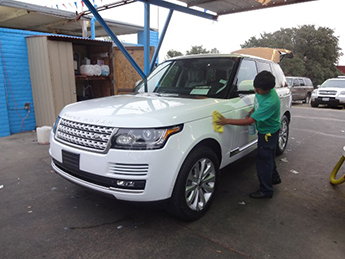 Clay detailing is a deep cleaning and smoothing clay bar that instantly removes harmful pollutants from today's vehicle finishes without using strong, acidic chemicals or harsh abrasives. 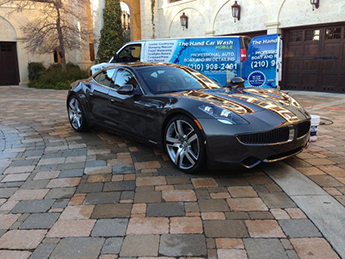 Clay Magic® will remove most of the harmful surface contaminants, insects, tar, stubborn road grime, and oxidation. Carnauba HAND Wax is then applied to preserve the finish.